Send a heartfelt message with the I Love You More Personalized Story Gift Set! Cozy up with your child to read an adorable story made especially for them. With their favorite fuzzy teddy by their side, your sweetheart will be delighted to hear how you much you love them. 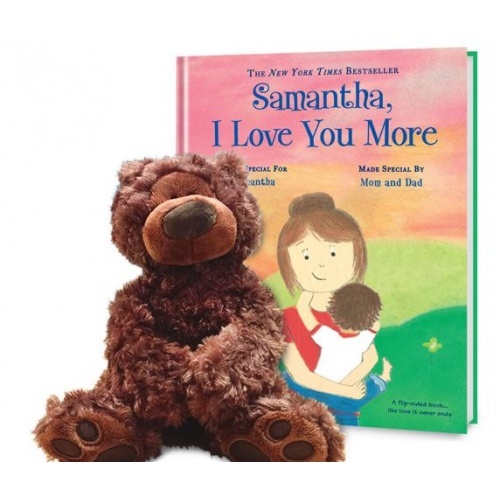 This bundle includes a hardcover copy of I Love You More and a My Favorite Teddy Bear. Personalize this great story with your child’s name, a photo and a heartwarming message on the dedication page to create a gift that your little one will treasure always.